Poor Harlow has recently been through sickness bug hell with no signs of it going away any time soon. She’s had a trip to the doctors as the other half and I were quite worried it could be something else but no. It’s definitely a sickness bug, it just seems to be taking it’s time leaving her little body. I do worry about her though and had a mild panic about how I would keep her hydrated so asked the lovely people of Twitter. It got me thinking that other parents must feel the same at times, not knowing the right thing to do, which is why I’m going to share some tips I picked up recently on helping your child through the nasty sickness bug. We all know with a sickness bug that preventing dehydration is really important. 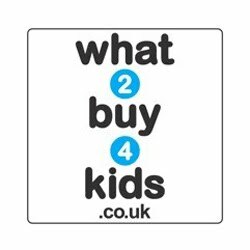 The last thing you want is for you child to be hospitalised and put on a drip but if needs must it has to happen. One thing a lot of people suggested, and I’d forgotten, is giving your child ice poles/lollies. They’re not heavy on the stomach, have a little bit of flavour and are perfect for getting some water into your little one as well as cooling them down. You can even buy mini ones (half the size of a normal) for smaller children. I’ve got the mini ones for Harlow and they’re the perfect size for her to hold. As well as keeping some fluids in your kids you want them to make a quick recovery and this can be aided by Dioralyte. It’s a rehydrating drink which has all the salt and minerals your body needs to recuperate after loss through sickness and diarrhoea. It can be used by infants as well with cooled boiled water so really is a good thing to have in the medicine cabinet. If you think your child might be able to keep a bit of fluid down then trying giving them some Calpol as well. This will help any pain and reduce their temperature from fevers. You’ll want to make sure your child is as comfortable as possible so put them in some old clean clothes that you don’t mind them getting sick on. Make sure their clothes don’t push on or restrict their tummy in anyway, sometimes even a night gown, cardigan and some thick warm socks can be nice. I always have an old blanket to hand as well, don’t want Harlow catching a chill too. Everyone has a sick bowl of some sorts and it's usual a basin if us adults can't get to the toilet in time. Sometimes a basin is just a bit too big for the kids so I normally keep a smaller plastic bowl handy. Harlow was so ill recently that the only thing we could catch her sick in was a little bowl, she just couldn't move. Also some wet wipes near the sick bowl can be very handy. When your child starts to perk up and shows signs of actually eating solid foods again then go for something bland that won't upset the tummy. Things like bread, toast, soup, plain pasta etc usually do the trick and they'll be eating normal meals again in no time. One thing that can irritate the stomach after having a bug can be milk or dairy based products so maybe skip these for a day or two. 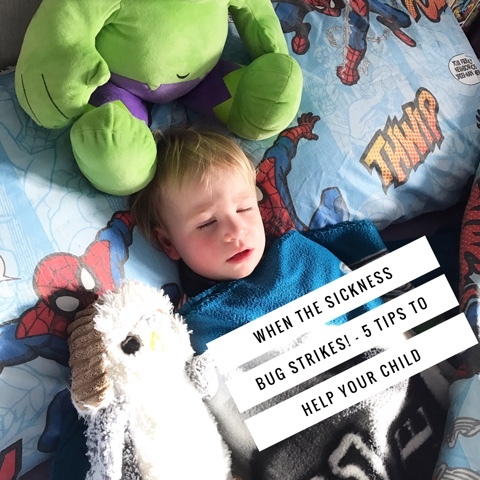 If you have any other tips on helping your child when the sickness bug strikes then I'd love to hear them. Anything to make the little ones life easier is always a big help. 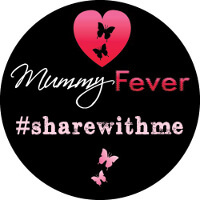 4 comments on "When The Sickness Bug Strikes! – 5 Tips to Help Your Child"
The boys had their first bug when they were about 8 months old, it was gastroenteritis. The nappies stank to high heaven and had to be changed constantly. We just left all windows open a whole day when it was over and I put the clothes that weren't soiled too much in the washing machine. We camped out almost exclusively in our bedroom for a whole 3 days! Wow Markus that sounds awful! You literally can't leave the house though can you. It took Harlow a full week to recover from this horrid bug.